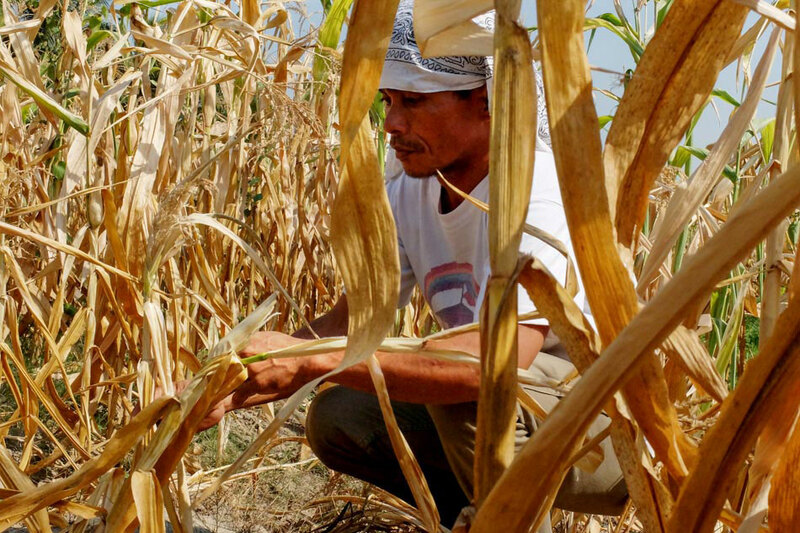 MANILA — Damage to rice and corn crops due to the El Niño weather pattern has reached P5.7 billion, the Department of Agriculture (DA) reported Sunday. The losses have exceeded the agency’s initial forecast of P1.7 billion, said Agriculture Undersecretary Ariel Cayanan. There are reports that the damage is worth P7.4 billion, but the agency has validated only P5.7 billion in losses, he told reporters. The damage, however, will not result in a shortage of rice and corn, he assured. Meanwhile, incidents of fish kills due to extreme heat and overuse of fish pens were also reported recently in some areas in Pangasinan, the official said. Cayanan stressed that cloudseeding is “not the main solution for El Niño” as this would have to depend on the presence of “substantial” clouds that could spawn rains. The DA has instead encouraged the planting of drought-tolerant seeds, while longer term loans and insurance for farmers are also in place, he said. Cayanan also suggested changing the schedule of the planting season to make crops ready for harvest before the peak of the dry season. This year’s rainy season will be delayed with El Niño expected to last until June, the state meteorology bureau earlier said.